As a parent, you quickly learn that you can never, ever, have enough storage for the kids’ stuff. Never. 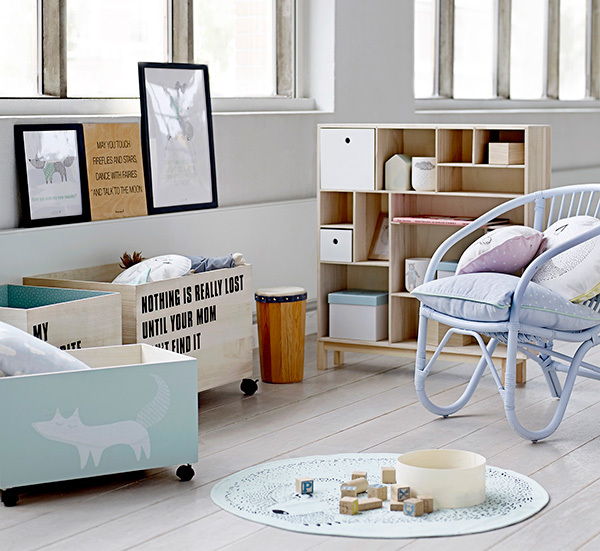 So here’s a handy go-to list of all the brilliant kids’ storage ideas we’ve brought you over the past year. If you’re looking for itty bitty storage to hide away knick knacks, or larger options to store hefty toys, we have it covered. Storage can be as pretty as it is practical, like these stunning options from Danish company Rice. As gorgeous as they are functional, they’re perfect for little odds and ends. Kids do like to tote their toys from room to room, so this clever toy box doubles as a way to lug around all the things they want to play with. 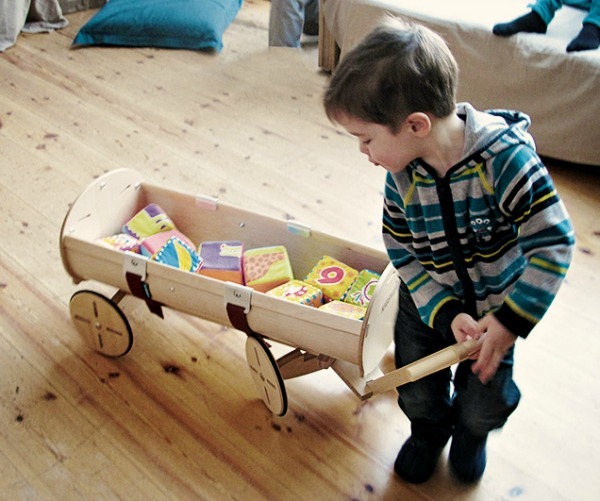 The Cargo Line can be used as a little wagon, then pop the lid on and the toys disappear! 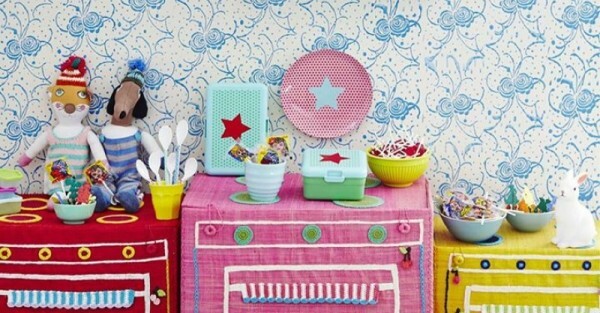 Likewise, these Bloomingville Mini toy boxes are transportable, and can store a whole bunch of fun. 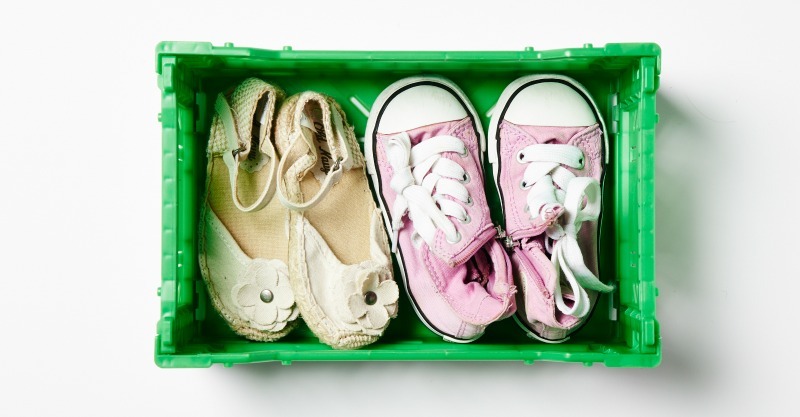 These Folding Boxes are just perfect for all manner of kids’ bits and bobs – including shoes. 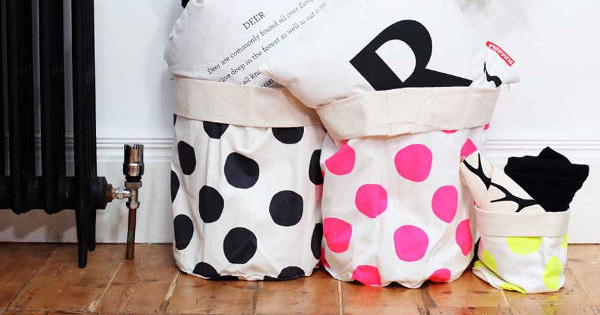 They’re all 100 per cent recyclable and fold flat for easy storage. 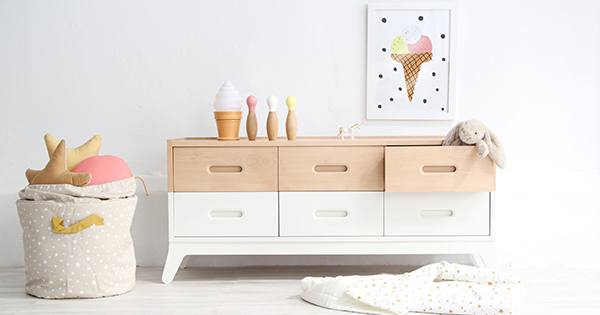 This stunning dresser from Nobodinoz can be used as a change table, but will have a life long beyond nappy changes thanks to its huge storage capabilities. The Beaneasy dresser is another great way to keep the toys tidy, once it’s no longer being used to store nappies and tiny socks. 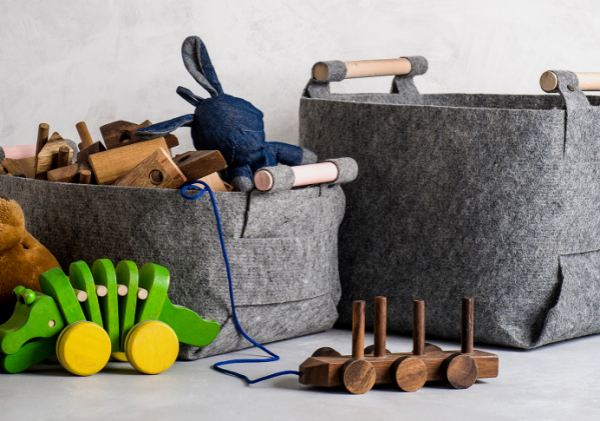 Felt has made a comeback in a big way – and these incredibly handy and stylish Loop Design Studio storage bins demonstrate why. They are wonderful for just tossing in toys that can then be easily accessed later on. 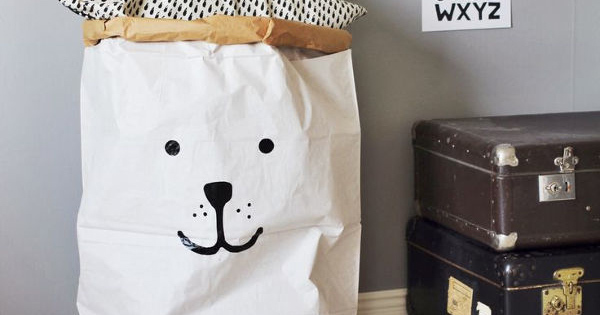 Also currently on trend are paper bags used as storage – and this one from Tellkiddo is just gorgeous. French brand La Cerise Sur le Gâteau also makes some sublime storage bags. 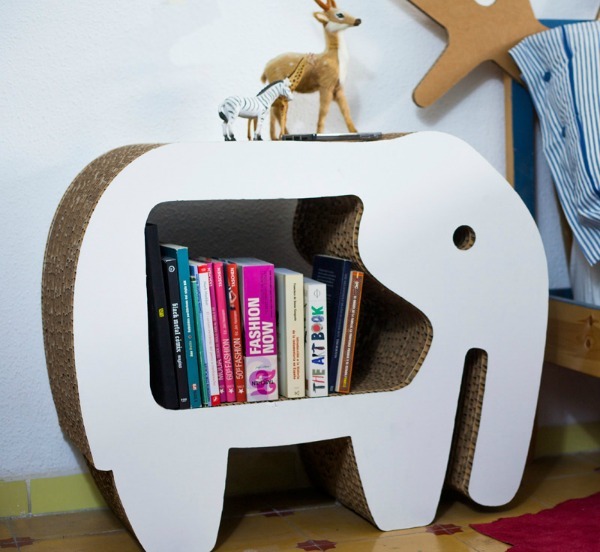 One step up from paper is cardboard, and Spanish-based CartonLab create eco-friendly and durable storage solutions for kids’ spaces. Fun and functional! 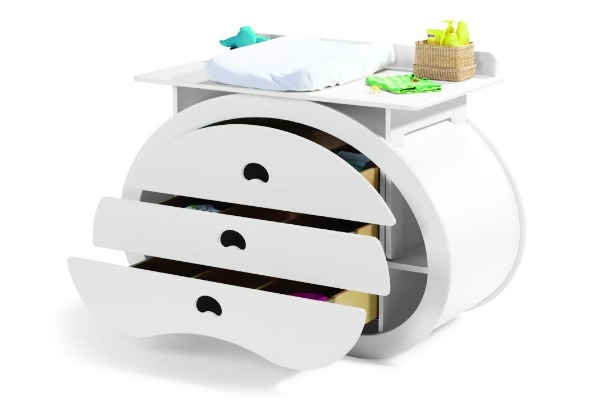 What about this nifty piece of furniture, which starts out life as a bassinet, but eventually becomes a toy-toting wagon. 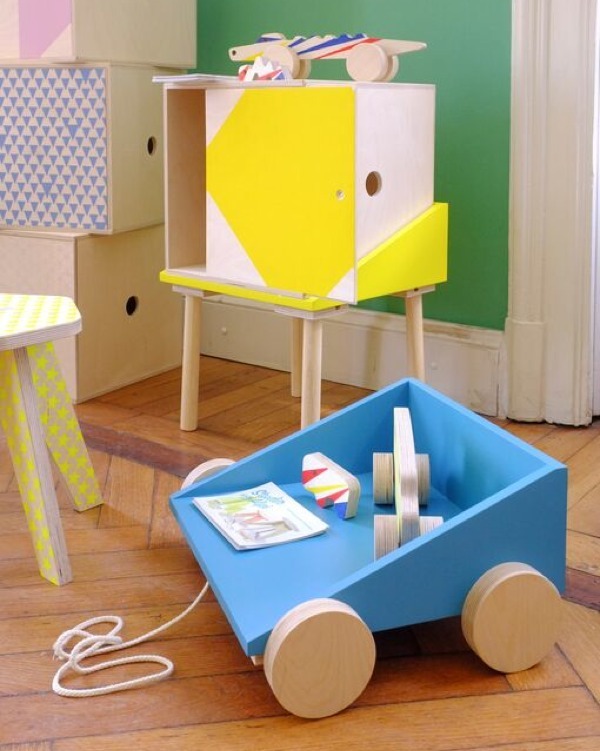 The Kidskoje is also fabulous for storing toys often played with. Getting things off the bedroom floor is half the battle in keeping the mess under control, and these personalised wall hooks from Metalya are both beautiful and very handy. 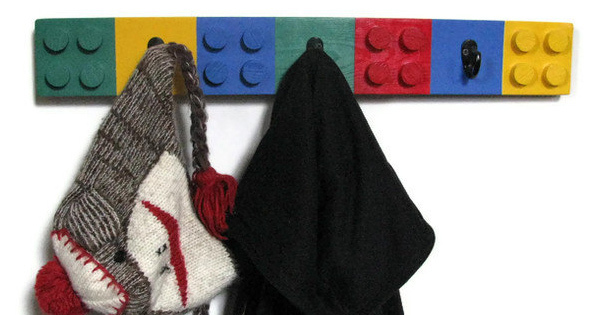 Likewise, this gorgeous option from Happywood Goods will keep the schoolbag and coats sorted, while getting the thumbs up from Lego fans.